Back in the early 1960's I was already a pretty seasoned commercial actress by the age of 6, having acted in numerous commercials promoting dolls, toys, cars, food and other products that companies wanted to sell. In late 1963, my agent told my mother that there was a "movie" interview and they wanted to see boys and girls aging from 4 to 25. 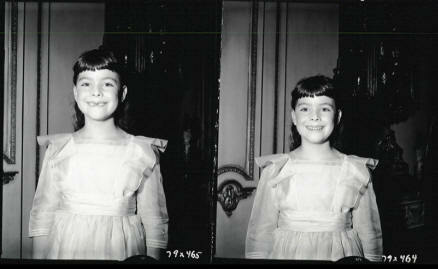 I went on the interview and was lucky enough to land the role of Marta vonTrapp in the movie, The Sound of Music. It's hard to believe that we are in year 54 since the movie made it's debut in 1965. It's amazing to me that my best friends in the world are the people with whom I starred with in the film. Since then there have been numerous reunions, autograph shows, TV appearances, radio and internet shows. A few years back my vonTrapp brothers and sisters and I put together our photo, memorabilia and memories into a book called "The Sound Of Music Family Scrapbook". A 50th anniversary version was released in 2015 and I purchased the remaining books the publisher had left and I am offering them to you. Books for sale and signed photographs in my SHOP . Now I am a full time floral designer. Check out my portfolio to see some of my creations.